I saw Binance as part of a new generation of exchanges that were much faster, able to handle a larger load, and far more secure. 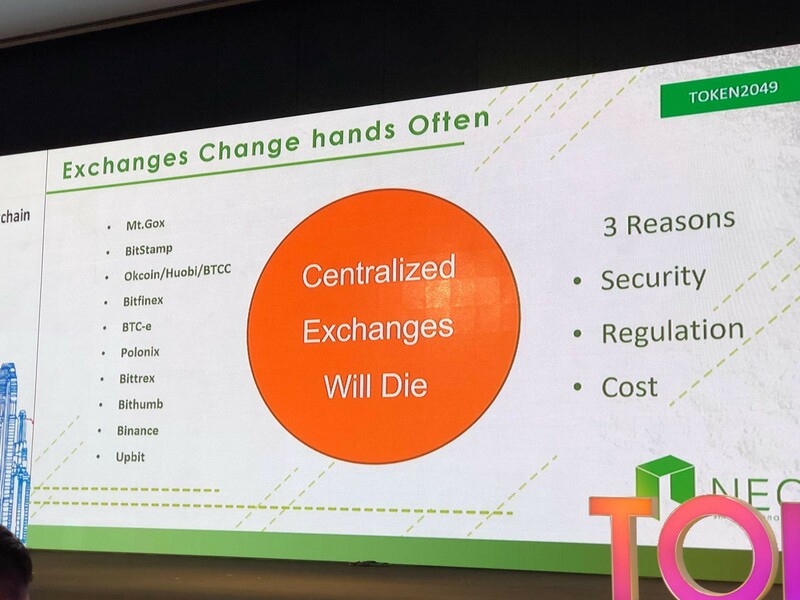 They listed new coins faster than most other centralised exchanges, paid GAS to NEO token holders, and had low trading fees. Times have changed however, and Binance has begun to charge hefty fees to list tokens (up to $5m USD), slowing down their listing process significantly. Binance has also been vulnerable to hacking attempts. These gaps are the reason why we started our own decentralised exchange: Switcheo. 10 years have passed since the advent of cryptocurrency, and there is much to be done in building the next generation of exchanges. As decentralised exchanges like Switcheo begin to expand to different blockchains, like NEO, QTUM and Ethereum, the blockchain will begin to truly embody the ethos of a trustless economy.